We’ve known for a while that Jaguar is set to launch a(nother) new crossover. The J-Pace is slated to debut in 2021 and will serve as the UK carmaker’s flagship SUV crossover. 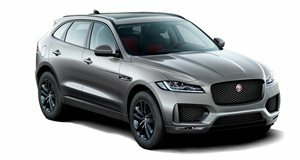 One of its prime targets will be the Porsche Cayenne, but Jaguar also needs to be careful the J-Pace doesn’t internally compete with anything from Land Rover. According to Autocar, the design of the J-Pace will be a blend of F-Pace and I-Pace. Built on JLR’s new MLA platform, designed for hybrids, plug-in hybrids, and full-on EVs, engineers realized it was best to drop the typical mechanical all-wheel-drive system in favor of something more suited to the era and this platform. The J-Pace will feature an electric motor at the rear axle instead of the conventional mechanical connection. This will allow for major improvements in handling on and off-road. For example, the electric motor will enable far better power delivery that will be felt most at corners and poor road surfaces. For off-roading conditions, there’ll be far greater control of the torque being directed to the rear wheels. 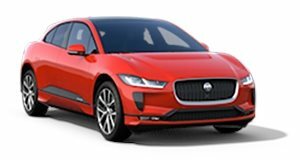 Jaguar also incorporated much of the I-Pace’s front end design to the J-Pace due to lessons learned regarding the reduction of overall drag in order to maximize battery range. This is essential for EVs. And speaking of which, don’t expect the J-Pace to come with a supercharged V6 or V8. Both engines are being phased out. Instead, the J-Pace will initially be sold as a plug-in hybrid with a turbocharged version of the new Ingenium straight-six. The goal is to achieve 50 miles of range in EV-only mode. Interestingly, Jaguar is in no immediate rush to launch an all-electric J-Pace. One reason being is uncertainty towards overall market reception to EVs. Consumers are not flocking to EVs just yet, but that could change, hence the decision to build the J-Pace on this multi-powertrain platform. With its 2021 launch just around the corner, expect to start seeing J-Pace prototypes hitting the roads in multiple locations, from snowy Sweden to desert testing in the American southwest.